A seasoned professional asked a vice president to lunch to pick his brain about his industry. She planned to change fields, and wanted his input. She also knew that at some point he might consider hiring her. What, she inquired, were some quick tips that would help her to make a good impression and stand out as a gracious host. Lately I have been getting questions from high-level executives and business owners about dining with clients. Since the economy has been improving, they are entertaining their clients and potential clients more often, and want to feel comfortable in restaurants. 1. Picking an inappropriate restaurant. Match the restaurant to the guest. Don’t take a very important client to a mediocre eatery. You want your guest to feel valued. Make sure the restaurant’s atmosphere is conducive to talking, with no TVs or loud music. Check in advance whether your guest has any dietary restrictions. If he or she does, review the menu ahead of time and make sure there are suitable entrees. 2. Forgetting to make a reservation. You don’t want to be turned away, or have to wait in the lobby. Forge a relationship with a restaurant’s staff by becoming a regular. They will know you and your preferences, address you by name, give you a better table, and, in a pinch, find a table for you when the restaurant is booked. 3. Not being in charge. 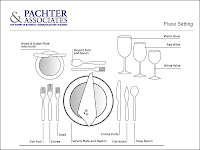 As host, you need to take charge of the logistics of the meal. Direct your guest to the best seat. Recommend menu items. Make sure your guest’s order is taken first, and make a wine selection based on his or her preference. Don’t have the check come to the table; you can arrange payment with the restaurant beforehand. The woman who asked me for some tips did this, and reported that her guest was impressed. 4. Failing to keep the table balanced. If your guest orders an appetizer, so should you. The same is true for drink and dessert. If you don’t want alcohol, order a non-alcoholic drink. You don’t want to make your guest feel uncomfortable by eating a course alone. And speaking of ordering, you should order what you know how to eat, what you like to eat, and what is easy to eat. This is not the time to experiment. 6. Taking your guest’s bread. To remember that your bread plate is to the left of your dinner plate, you can think of the BMW car. The “B” on the left stands for Bread, “M” in the middle stands for Meal, and “W” on the right stands for Water. However, if your guest takes your bread, don’t mention it. 7. Not facilitating small talk. As the host, you need to make sure conversation flows. Do your homework. What topics are of interest to your guest, and what is important to him or her? Be prepared to ask questions and contribute to the conversation. 8. Drinking too much. Stay sober. You can easily say or do something you will regret if you have too much to drink. 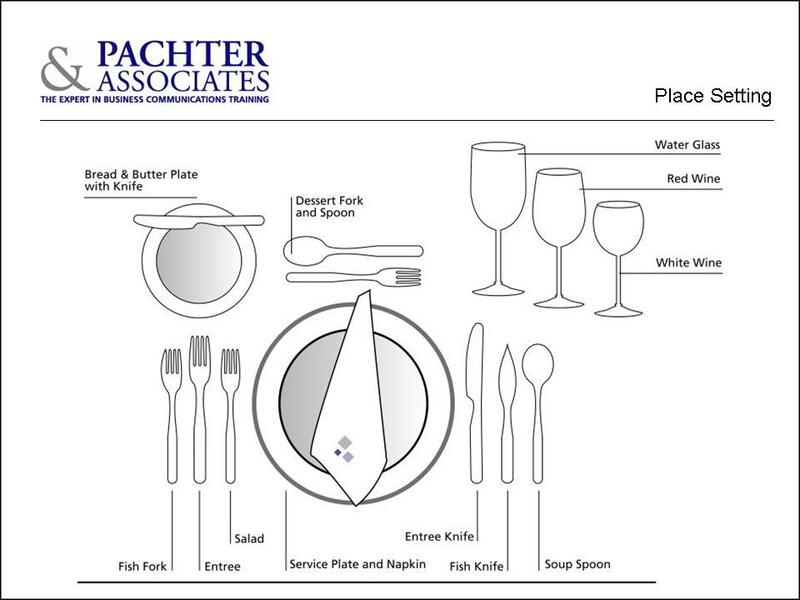 Pachter & Associates provides training and coaching on numerous etiquette topics, including dining. Contact Joyce Hoff at 856.751.6141 or Joyce@pachter.com for more information. An excellent and valuable article. Sometimes we forget that our manners are the first impressions.... I look forward to checking your new book. Great article. I'm guilty of not keeping the table balanced before. Thank you for the tips and reminders! Great way to make us understand! We just perform a management development exercise on development and this fits right in with our message. Nobody cares about anyone focus development on what is in it for them and how the development correlates to the goals of the company. Thanks!